These days, you’d think we’d be past the era of women as second class citizens, but as Donald Trump recently proved, we may have come a long way, baby, but not all the way. When the comb-over-Cheetos-fascist suggested that Ghazala Khan, the Gold Star mother of fallen U.S. Army Captain Humanyun Khan, wasn’t allowed to speak during her and her husband Khizr Khan’s appearance at the Democratic National Convention because of her Muslim faith, Trump proved he hasn’t joined the rest of the human race in the 21st century, where women are equal to men. FEMINISTS ROCK! : Skating Polly is one of 25 bands playing the female-centric daylong music fest Ladyfest II on Aug. 6 at the SLO Grange Hall. 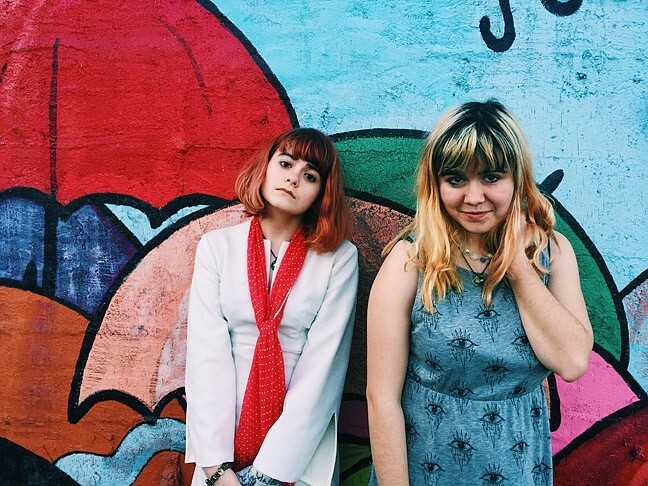 Clearly, the timing is right for Ladyfest II, the daylong female-centric, 25-band music festival this Saturday, Aug. 6, at the SLO Grange Hall (1 to 10 p.m.; all ages; $10 at the door). Ladyfest is an opportunity to celebrate all things female, encourage female empowerment, and also enjoy some kickass music. Kelly herself is in Hot Tina and Off Center & the Holes, two of the more than two-dozen bands at the event. The music will come fast and furious on three stages. The entire schedule is available on the festival’s Facebook page, facebook.com/events/1690731771188059. Kelly and her “zine-writing feminist friend,” a.k.a. New Times writer Hayley Thomas, mounted the first Ladyfest last summer, the same year Kelly started a Girls’ Rock Camp for girls 8 to 12 years old. Think about that, Orange Nazi Trump! The following groups are scheduled to perform: Privatized Air, Janine, Savannah, Emily Franklin, Total Bettys, Mutt, Flytraps, LA Drones, Skating Polly, Off Center & the Holes, Kaylee, Kali Kazoo, Heartlights, Sierra & Michael, Way to Go Genius, Hayley & the Crushers, Hot Tina, Tiny Stills, the teVelde students and teachers, Casey Chadwell, Sunshine & Stardust, Zen Mountain Poets, Noach, Sweetie Darling, Mothra, Bearcats, Maya Songbird, and Peg. All proceeds will be donated to MUSE Arts Education, a San Luis Obispo nonprofit that awards musical scholarships and/or musical instruments to people suffering from financial hardships or physical disabilities. THE CELTS ARE COMING: Celtic punk act Flogging Molly brings its drinking and political songs to Vina Robles Amphitheatre on Aug. 4. 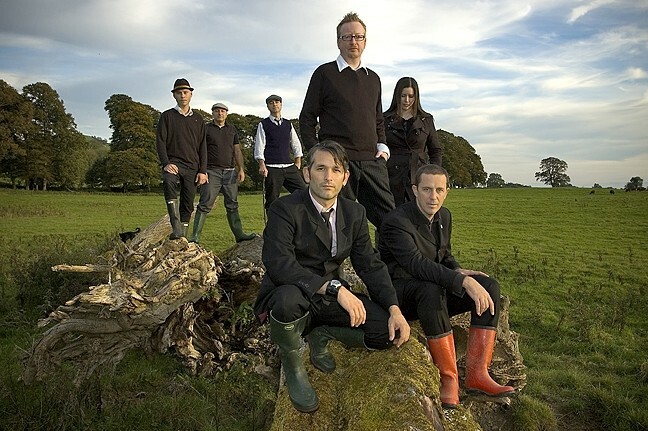 Flogging Molly, the LA-based Celtic punk septet fronted by Irish vocalist Dave King, will bring its punk rock played on Celtic instruments like violin, mandolin, and accordion to Vina Robles Amphitheatre this Thursday, Aug. 4 (7:30 p.m.; all ages; $35 to $39.50 at vinaroblesamphitheatre.com), with special guests Frank Turner and Chuck Ragan. Drinking, poverty, love, and death—their themes are right out of the Irish artist playbook, played crisply and with gusto. Formed in 1997, they have five studio albums and a live album under their belts, and they put on a terrific show. Due to their punkish nature, the show will feature a “General Admission Pit” in the front if you’d rather mosh than sit. You must have a GA Pit ticket to enter that area. NOLA STYLE! : New Breed Brass Band brings its second line sounds to Tooth & Nail Winery on Aug. 5. New Orleans is a one-of-a-kind place, with its own distinct culture, cuisine, and music. The famed second line tradition has its roots in the city’s old “jazz funerals”—processions through the streets with the first line being the funeral party who secured the proper permits and the second line being hangers-on and brass band musicians. This Friday, Aug. 5, Good Medicine Presents hosts the New Breed Brass Band at Tooth & Nail Winery (5 p.m.; free). 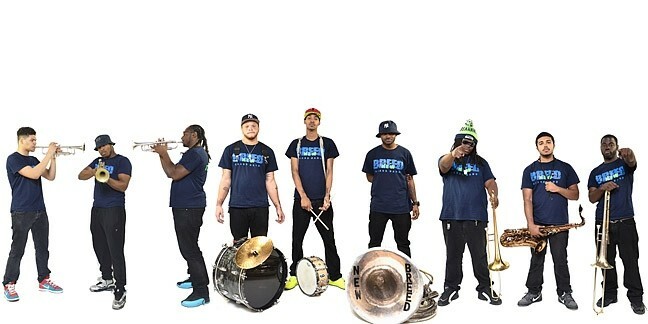 The band “lives and breathes the culture of New Orleans, infusing funk, rock, jazz, and hip-hop into a custom-made enhancement of second-line brass band tradition,” according to press materials. Most of the members have been playing music since they were toddlers and count such New Orleans legends as James “12” Andrews, Troy “Trombone Shorty” Andrews, Topsy Chapman, Karl Leblanc, and Bruce “Sun-pie” Barnes as family members. The band is looking forward to being ambassadors of New Orleans culture. Good Medicine Presents will also host Gregory Alan Isakov and the Ghost Orchestra next Thursday, Aug. 11, at the Fremont Theater (7 p.m.; all ages; $25 to $36 at ticketfly.com). Imagine a really poignant singer-songwriter with a lush string orchestra behind him and you’ll have an idea of what Isakov and his Ghost Orchestra is all about. More on this next week. 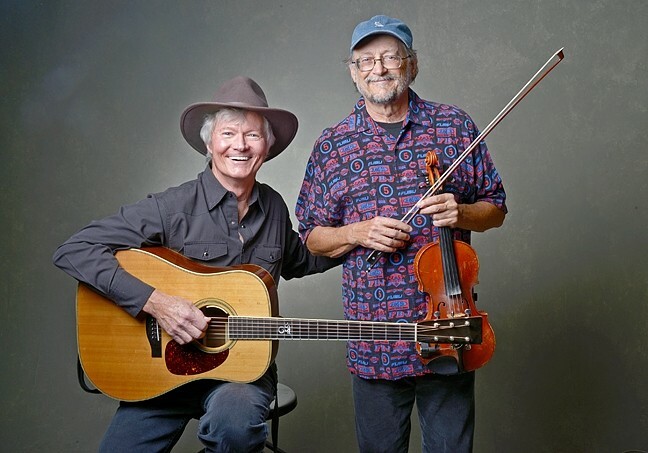 FOLK LEGENDS : Award-winning guitarist Mark Heyes and champion fiddler Phil Salazar will team up to play a Red Barn concert on Aug. 6. Jared Rabin, a long-time Chicago-based multi-instrumentalist, released his first solo album last September, where it reached No. 15 on the RMR Americana charts. American Songwriter Magazine dubbed it an “Americana masterpiece.” He’ll play Linnaea’s Café this Thursday, Aug. 4 (8 p.m.; all ages; free). Legendary Central Coast swing-jazz combo the Viper Six returns to D’Anbino’s this Friday, Aug. 5 (8 p.m.; 21-and-older; $10). With the amazing Emy Bruzzo on vocals and an all-star cast of musicians—bandleader and guitarist-songwriter Ted Waterhouse, Robert Alberts on trumpet, Ron McCarley on saxes, Michael “Doghouse” Dias on upright bass, and Darrell Voss on drums—they’ll deliver a great evening of danceable swing. 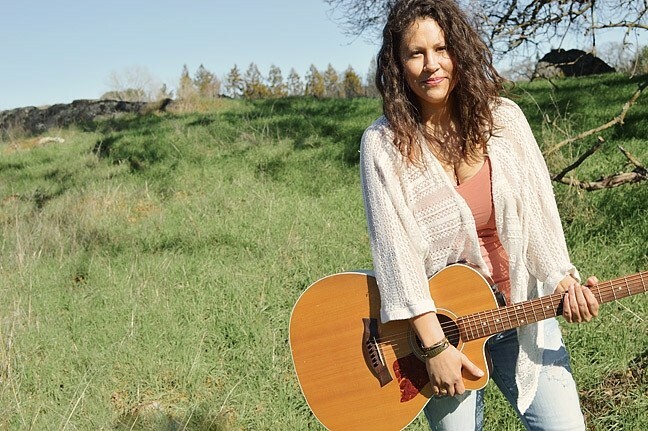 SONGBIRD: Sacramento-based singer-songwriter Sandra Dolores Swanfeldt plays three Songwriters at Play showcases: Aug. 7 at Sculpterra and Aug. 8 and 15 at Otter Rock Café. The Red Barn Community Music Series presents the great Mark Heyes and Phil Salazar in concert on Saturday, Aug. 6 (5 p.m. potluck, 6 p.m. show; all ages; $15 at the door). This award-winning guitarist and champion fiddler will provide an evening of well-crafted songs drawn from their long careers. Hank Biggs and The Hardtops will bring their old school rockabilly stylings to Frog and Peach on Saturday, Aug. 6 (9 p.m.; 21-and-older; free). If you like Carl Perkins and Bill Haley and The Comets, this is the show to dance, jump, jive, swing, shake, rattle, and roll to. Sacramento-based folkie Sandra Dolores Swanfeldt will bring her beautiful voice and narrative songs to several Songwriters at Play showcases starting Sunday, Aug. 7, at Sculpterra (1 p.m.; all ages; free) as well as Monday, Aug. 8, and Monday, Aug. 15, at Otter Rock Café (6:30 p.m.; all ages; free). 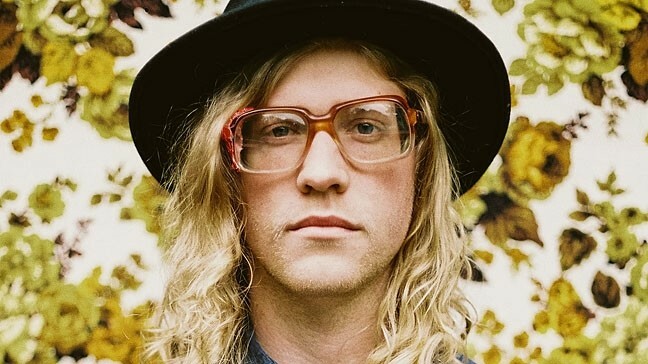 BLUE-EYED SOUL: Allen Stone brings his amazing songs and soulful vocal style to Castoro Cellars on Aug. 7. Australia ukulele whiz Azo Bell will offer a workshop and concert on Monday, Aug. 8 (6:30 workshop; 8 p.m. concert; $20 for both at the door or at sloma.org. ), in the SLO Museum of Art. The eighth annual New Times Music Awards is accepting entries through Monday, Aug. 22. You can enter the songwriters’ contest, submit songs in the various genre categories, or submit an album for the Album of the Year contest. Our panel of judges will decide the winners, who will be invited to play the awards show on Friday, Nov. 11, in the Fremont Theater. You’ll find an entry form on page 5 of this week's issue, or online here. And good luck!